Exterior view of Yahoo headquarters in Sunnyvale, Calif. Unable to revive Yahoo's revenue growth on her own, CEO Marissa Mayer is hoping for a little help from her old friends at Google. Mayer, a former top Google executive who came to Yahoo in 2012, announced Tuesday the two companies had reached a three-year deal to work together in Internet search and advertising, NBC News reported. 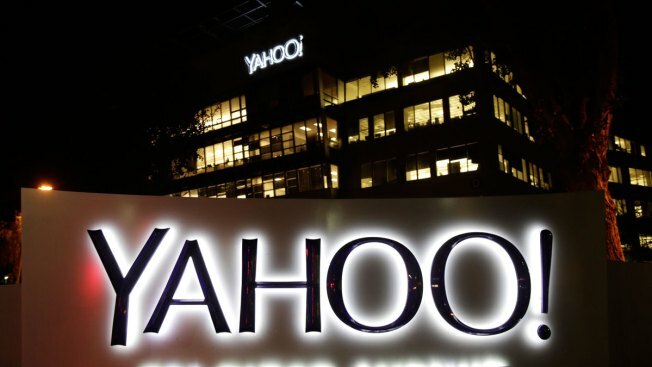 The pact was unveiled after Yahoo released a disappointing report on its third-quarter performance, with revenue dropping 8 percent from the same time last year to $1 billion. It marked the ninth time in the past 11 quarters that Yahoo's net revenue has declined or remained unchanged from the previous year. This is Yahoo's second attempt to lean on Google's expertise in Internet search and advertising. Yahoo Inc. tried to team up with Google Inc. in search during 2008 as part of its defense against a takeover attempt by Microsoft Corp. The Google alliance unraveled after the U.S. Justice Department threatened to block the partnership on the grounds that it would thwart competition.